all at the world famous Fistral Beach. 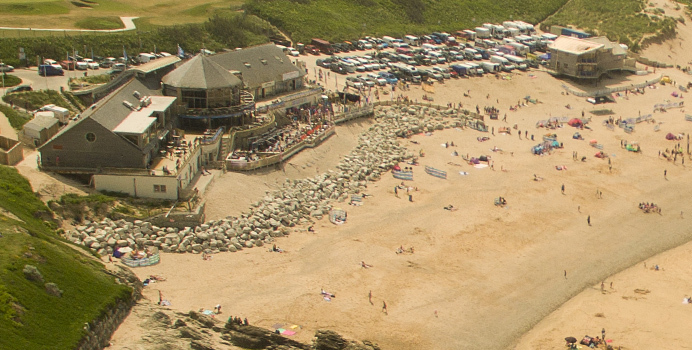 Based at the home of British Surfing in the International Surfing Centre on Fistral Beach and next to a large pay & display carpark we are very easy to find. Being based on Fistral Beach means that we can make the most of the lessons as we only need to wander to the water’s edge with the equipment. We have a very skilled coaching team at Fistral Beach Surf School who can coach a huge range of abilities and activities. Enjoying your activity with us at Fistral Beach guarantees you will have one of our professional coaches; alongside being qualified instructors and lifeguards they are experienced water men who are passionate about the ocean. Lucky enough to have the right equipment to be open all year we make sure that any equipment you want is always included free in your lesson; whether it is just the suit or you are layered up with a hooded thermal rashvests, boots & gloves. We also have summer and winter wetsuits available at every time of the year. Please feel free to contact us by phone or email with any questions.